We're looking at Lissocarcinus, a genus containing 9 species of small, Indo-Pacific crab. They're a delight to behold, covered as they are in bright spots and bold colours. They reach only about an inch or two across, and it's good they don't get too big because they like to spend their time climbing around on other people's bodies! Their usual victims, or companions, are various sea cucumbers and sea anemones. 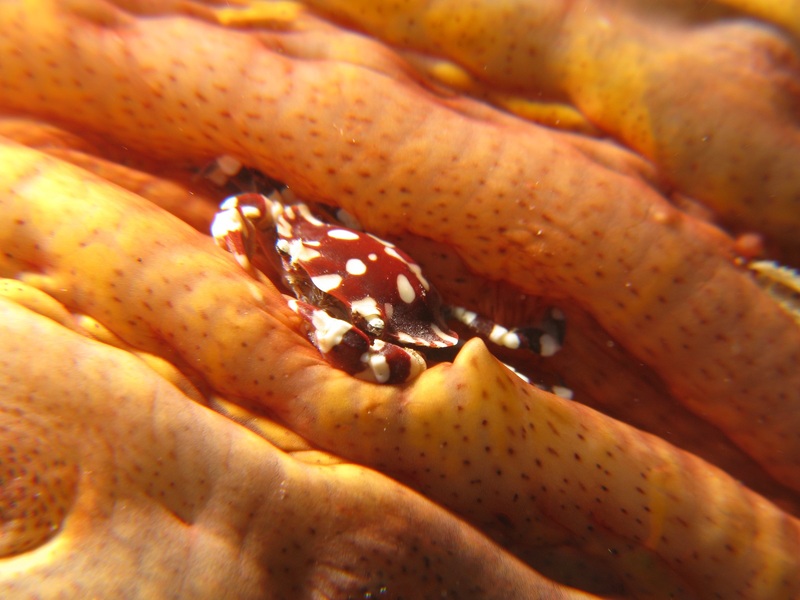 Different species have different preferences and their colours at least sometimes serve as an effective camouflage against their brightly-coloured host. They often stick out like a sore thumb, though. That's what happens when you're so ridiculously colourful! 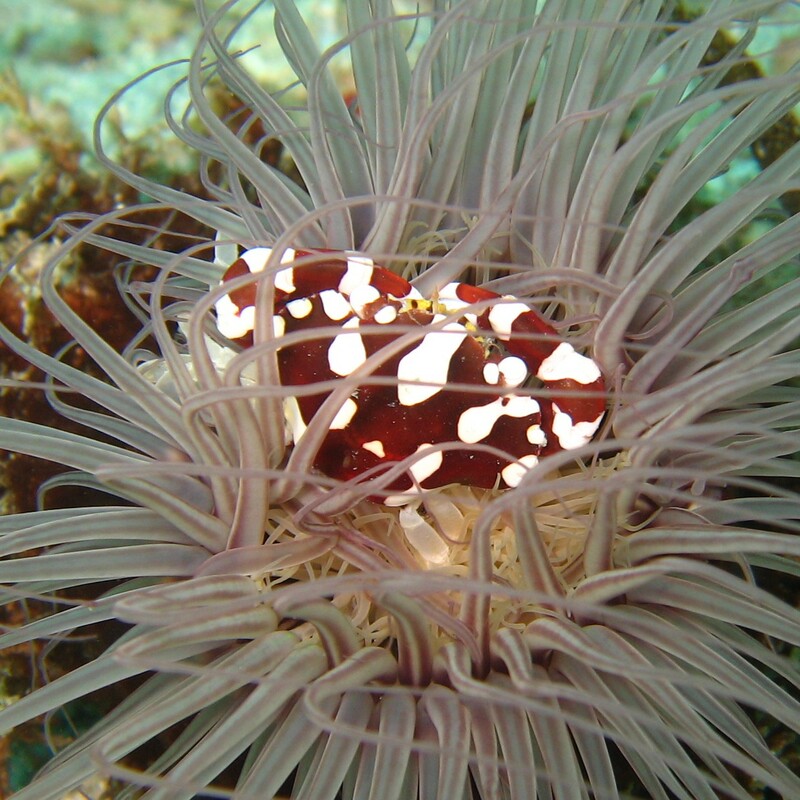 The ones that live on sea anemones enjoy what is essentially a tentacle bath. Lucky. If you look closely at a Lissocarcinus you can see that their hindmost legs are sort of large and flattened. 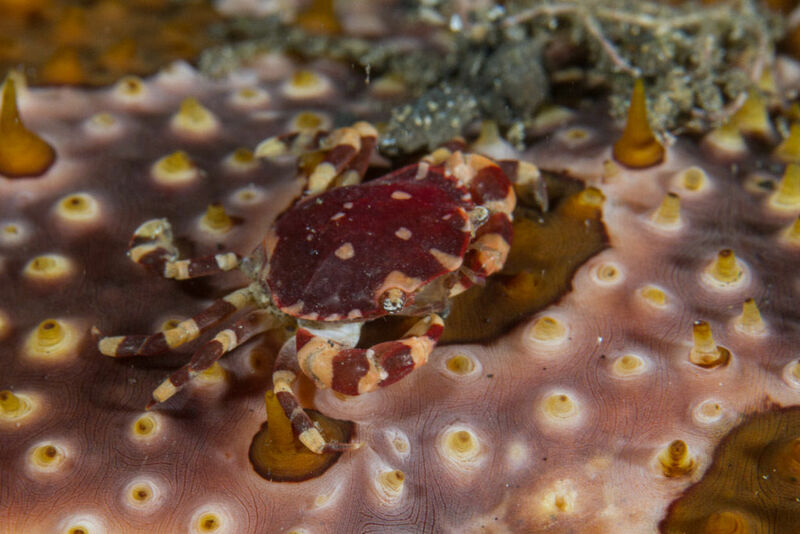 This is because they belong to the Portunidae family, known as the swimming crabs. Like a lot of swimming crabs, they quite enjoy NOT swimming. 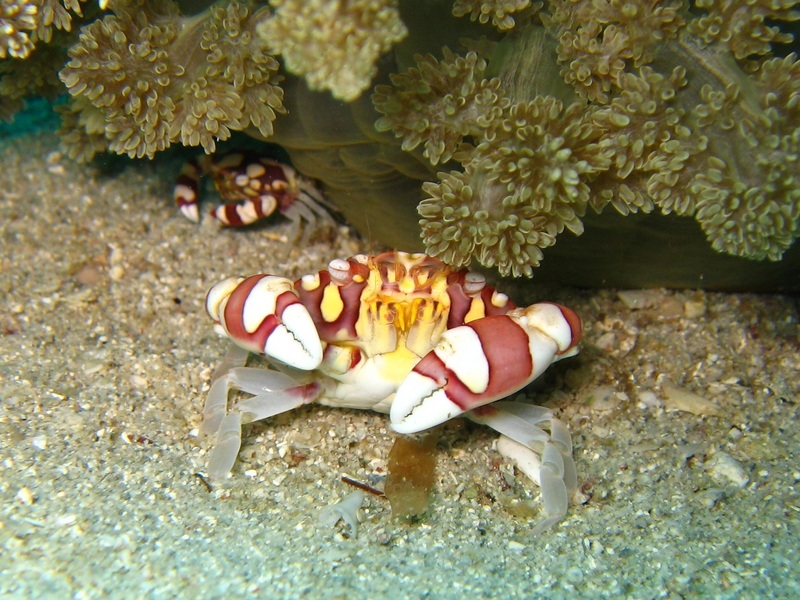 Most so-called swimming crabs spend the majority of their time on the seabed. Still, it's nice to have the option. Should they choose, they can swim up from the ocean floor, using their flat hind legs as paddles and cutting through the water with their smooth, streamlined body. Lissocarcinus crabs are so smooth their genus name actually means "smooth crab". I'm sure those sea cucumbers and sea anemones are grateful for small mercies. It'd be terrible if the little blighters were covered in spikes and spines. Especially given all those intimate places they visit. They look like those spotted mushrooms Mario eats to get bigger. But, you know. In crab form. Yeh! Hopefully they don't kill or shrink plumbers on contact. If they lived in the right place they could be a fetching brooch!